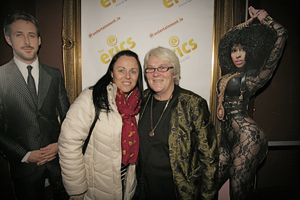 At last night’s Eric awards, handed out by Entertainment.ie. Any excuse to play this. What Do You Mean You ‘Weren’t Invited’? What Do You Mean You ‘Weren’t Invited’? Meanwhile, In The Upper House What Do You Mean You ‘Weren’t Invited’? Posted in Misc and tagged What Do You Mean You 'Weren't Invited'? at 1:03 pm on January 17, 2013 by Emily O'Callaghan.